We can do better than HS2! We have a fully designed alternative plan to deliver the high speed rail network this country needs. How would HSUK deliver all these benefits? By focusing on building a network, not just a route, HSUK's designers have created a transport system which connects the country together. Re:think HS2 is an initiative started by Neale Upstone and Stephen Stretton to investigate and promote a better way of delivering a high speed rail network than HS2. 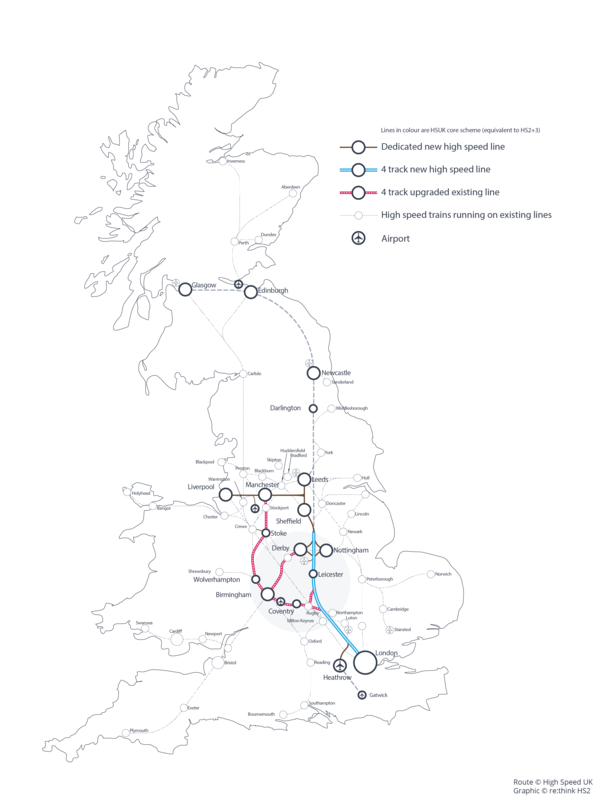 We think that the High Speed UK (HSUK) plans developed by Colin Elliff and Quentin Macdonald offer a thorough, affordable and effective alternative that would provide a greener, cheaper and better connected rail network. More details of the plan at their website.